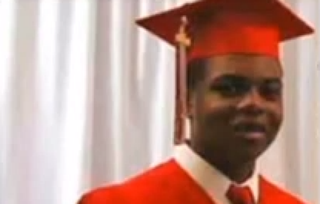 Chicago is standing firmly by its decision not to release dash-cam video of the fatal shooting of a teen who was hit 16 times by a city police officer in October 2014, the Associated Press reports. According to the newswire, the city would not even show the footage of the fatal shooting of Laquon McDonald to aldermen Wednesday before approving a $5 million settlement with the family. Members of the Chicago City Council reportedly disagreed on whether making the video public would spark yet another string of now-familiar protests that have been seen across the country in similar cases. According to AP, Alderman Danny Solis believed that the video could “fan the flames” of protests, while Alderman Howard Brookins did not think that fear should have had an impact on the decision. "I need this to stop, [and] if you don't show the video and this continues to happen, then we're still heading down that path," Brookins said, according to AP. The authorities have claimed that Laquon had a knife and refused to drop it when officers pursued him. An officer responding to a call for backup was the one who fired the multiple shots. That officer remains unidentified but has apparently been put on desk duty. It has not yet been determined whether he will face criminal charges, AP notes. Mayor Rahm Emanuel said Wednesday that the video was being held by the police and FBI because it is "central to their investigation." City officials also declared that they were "confident this video will be released at the appropriate time when their investigation is complete." Of course, as AP notes, an ongoing investigation has not stopped similar videos from being released to the public.